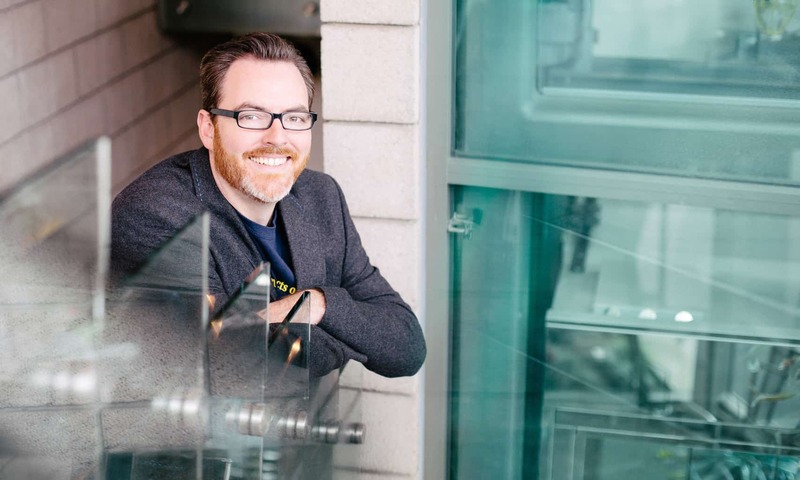 In the newest episode of the RELEVANT Podcast Network’s The Faith Angle, guest Mike “Science Mike” McHargue joins hosts Jonathan and Kirsten to discuss how science can actually enhance and enrich your faith. Mike is an author, podcaster (he has his own and co-produces The Liturgist Podcast) and a speaker who travels across the world helping people understand the science of life’s most profound and mundane experiences. His debut book, Finding God in the Waves, touches on faith and science together. This version of the conversation has been condensed. To listen to the full conversation, subscribe to the show. Jonathan: You go on to say that you found your faith again through science. Give us an overview of your story and how you found your faith again, through science. One important part of that story is that my rediscovered faith is substantively different than my childhood faith. I grew up in the evangelical tradition, specifically in the Southern Baptist Church and that served me well for most of my life actually. But as an adult, I ran into a dilemma. My father had an affair and left my mom, and he was a leader in our church. And as a good Baptist, I wanted to find answers to that problem in Scripture. I wanted to use Scripture to lead my dad back to what I saw as a right relationship with God. And that process of very deeply and intensely studying the Bible made me look at problems that I somehow had always glossed over, and I started to see the Bible to be kind of self-contradictory, to not only conflict the way history and anthropology describe human development but to actually conflict itself. And then I started to become aware that there were moral actions portrayed by God in the Bible that I found deeply troubling. That all kind of led to a deconstruction of all my theology and beliefs about God. Because as a Baptist, my faith was Bible-centered, so once you start questioning the Bible, I guess you could question anything. So that led to a period of questions and deconstruction, and finally a complete loss of faith, a rejection of any faith or belief in God at all. I was an atheist for a couple of years, and then I was at a conference and I had a mystical experience. It’s a long story, but basically, I saw an extremely bright light and felt the presence of God which is extremely strange for an atheist. So I made the most evident space, reasonable conclusion that one can make when you see a bright light and hear voices and see God’s presence. I assumed that I had brain cancer, and I asked my neurologist for a CAT scan. So I got a CAT scan and an FMRI and I didn’t have any brain tumors. So I had to see, what’s in this light? And that’s what got me into, for the first time, cosmology. And I was already into quantum physics, but I was really looking for the origins of everything, trying to see if there’s something described as God in that. I did find that, Einstein would even refer to the mechanisms behind the cosmos is God, that there is a reverence in the sciences: [although] in no way is the “creating force” [spoken of in] cosmology a personal being who responds to prayer. And that led me to study a type of neuroscience called neurotheology, which is the study of what religious beliefs do to human brains. And in the process of those two things, studying physics and studying neuroscience, I found the way that human consciousness and indeed the human brain itself seems to have a unique relationship to the idea of God and to be drawn to belief. And this is actually, in many cases, a really healthy thing for people to do. That led me to mysticism in spirituality. A type of faith that isn’t so obsessed with quantifying and qualifying the facts of God so much as experiencing God and being transformed by that experience. So that’s how I came to be where I am today, which is a person who is both an empiricist and a mystic. Both someone who requires evidence to make claims about belief and also sits in contemplation of what a risen Savior means for humanity. Kirsten: What do you say to those folks that say, well look where science leads you? It leads you away from God. I would say that it’s not just science that leads you away from theism. Most forms of higher education lower the rate of theism in a given population group. The same is true of economic access. The wealthier someone becomes, the less likely they are to hold theistic views of God. You’re taking an incredibly complex and nuanced question about human psychology and sociology and distilling it to the very tired theism vs atheism debates. People believe in God not because they have rationally selected to. People also don’t not believe in God for rational reasons. Neuroscience tells me, and cognitive psychology tells me that human beliefs are survival mechanisms that are largely formed in the context of community. And so, in the sciences, scientists tend to be high education, they tend to be relatively affluent in a global sense. The social norm is to view the world through the lens of materialism and absolutely, that is informed by some rational arguments. But the primary reason those people have rejected theism is not because they’re rational, but because they’re rationalizing their social condition. So I think it’s really ridiculous the way we’re all having these evidence-based rational discussions: [e.g.] “I’ve arrived at my beliefs to some kind of series of inquiry,” and that’s a lie of the enlightenment. We are social primates who hold beliefs primarily for a sense of belonging in community. Kirsten: You talk in your book about how what atheists are railing against is sort of the angry God paradigm versus the loving God paradigm, and you’re actually in agreement with them about that, and could you explain that a bit? When we look at what beliefs about God do to the brain, there’s really only two gods in neurology. When you believe that God is primarily angry, it has a set of effects on your body and on how you relate to the world. You tend to be fearful to people outside of your social grouping when you believe in an angry God. You have difficulty forgiving yourself or other people. You tend to have higher levels of stress and more activity in your brain’s amygdala and become fearful and angry more easily. And when you attach an angry God to an authoritarian power structure, be that in the Church or in civil government, you have a recipe for real social calamity. But on the other hand, scientists have discovered that when people believe in a God that is primarily loving, they have all sorts of great effects on their blood pressure, heart rates, they get less activity in their amygdala, and more in their anterior cingulate cortex. It tells us that they actually become more compassionate, empathetic people. So the idea that belief in God is universally a negative effect on society isn’t a science-based claim, that’s a tribal claim. People that have belief in a God who is primarily loving tend to be empathetic, compassionate and more active in charitable causes. Jonathan: Many great scientists of the past were Christian, and now we’re getting to the place where 60 percent of Americans say science and religion are in conflict and are at odds. How did we get to a place to say, no these are two different worlds, they’re opposed to each other and are irreconcilable? How did we get here? Historically, science and religion are in greatest conflict when fundamentalists get control over religious movements. So just to put a fine point on that, during the Dark Ages, when there was a radical fundamentalist movement in Europe, Europe fell out of the movement of the sciences. They lost centuries of intellectual progress. And then the candle, the flame of science was carried through the Middle East through Islam. It was Islamist scholars who preserved human knowledge and indeed made groundbreaking work on astronomy in their day. And yet, when fundamentalism rose up in Islam, there was an opposition to science and that work migrated back towards the West. In American history, we have seen that liberalism and progressive or even mainline and moderate religion does not have an antagonizing relationship with the sciences. Fundamentalism does consistently. Why? Fundamentalism is about unquestionable religious ideology. It’s about concepts that may not be subverted. And science at its most basic level is about asking questions and no questions being off-limits. So to fundamentalist structures as we’ve seen rise in post-war America, science is actually a threat to those kinds of systems because it gives people the cognitive tools to question the assumptions of the collective fundamentalist ideology. So I think that’s what you’re seeing right now: The dominant force in the discussion about religion in America since the late ’40s and ’50s has been American Protestant fundamentalism. It’s interesting to me that American Catholics tend not to have the same sort of antagonistic relationship with science because the pope has an honest-to-goodness observatory with award-winning scientists doing real research; because at least right now, fundamentalism is not the overriding or abiding ideology in the Catholic Church–although there are a wing of Catholic fundamentalists in the U.S. right now that are influenced by their conservative evangelical Protestant brothers and sisters. The antagonism comes down to fundamentalism versus science, not religion versus science. 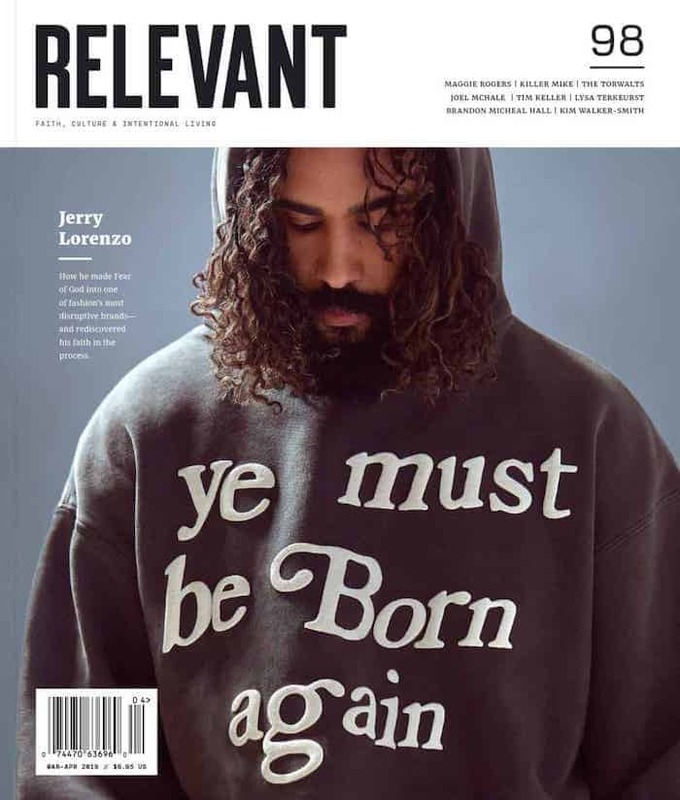 Lesley Crews is an Editorial Coordinator at RELEVANT. Find her excessively tweeting here.